We have three toddler rooms at New Day. The Terrific Twos! There are two teachers in each toddler room and there can be up to 10 children in each class. 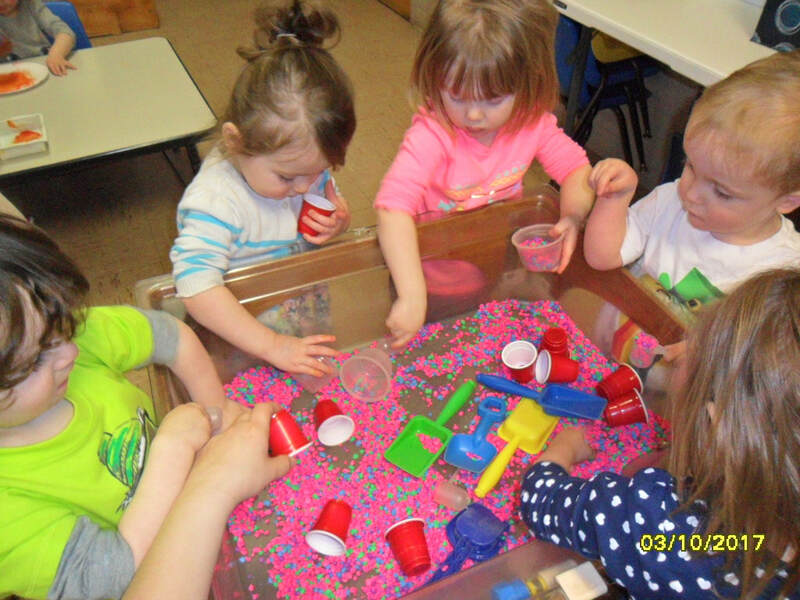 Each class has a daily schedule that includes table activities, (puzzles, playdough, shaving cream) sensory play, stories, songs and an opportunity to do a creative art activity. Outdoor play is part of our program and it is built into the children's daily schedule. I am the Head Teacher in one of our Toddler Rooms. I graduated from Carthage Central School and have a Child Development Associate (CDA) credential. I enjoy spending time with my my 3 children and my grandchildren. New Day is a great place to work. We have a great staff who work well together and are very caring and devoted teachers. I love working with children and guiding them as they learn, explore and master new skills. Watching them grow is very rewarding for me and I am fortunate to be a part of it.